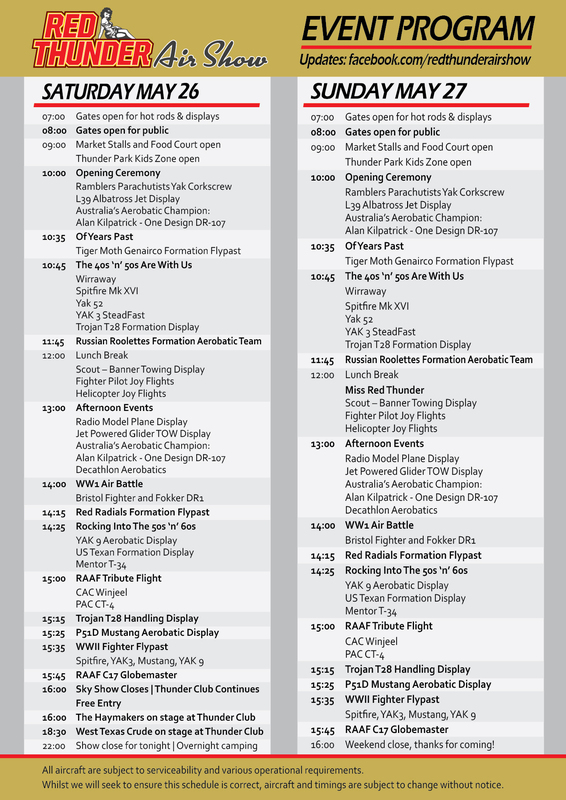 Airshow days (Programme may vary slightly each day). 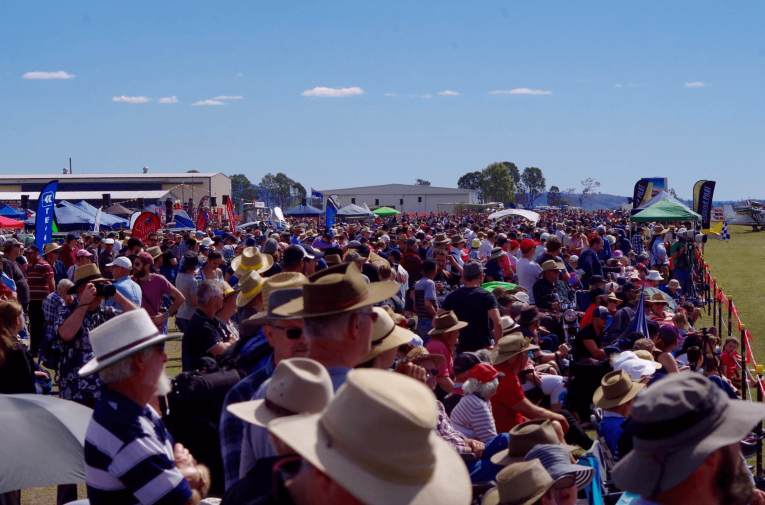 Gates open to the public at 08:00am each day, the Airshow begins at 10.00am with non-stop action in the sky until 4pm. In the air you will see some of the world’s most iconic Warbirds, Vintage, Modern Military Machines, Aerobatics, Helicopters, Formation Aerobatics, Skydiving, Sport Aircraft and so much more. This year we will once again be amazed by Australian Aerobatic Champion Allan Kilpatrick in his DR-7. At 4pm the evening action starts at our licensed marquee and beer garden "The Thunder Club". The club will be open to all spectators once the air display finishes at 4pm. Live music, cash bar and quality food through to late on Saturday evening. PROGAMME IS TAKING OFF !! We have lined up a programme of aircraft, hotrods, classic cars, a VIP indulgence and kids entertainment to ensure your all entertained. Enjoy the VIP tent, Markets, and the kids Thunder Park. See the ladies ‘Pin-Up’ competition, and revel in the sounds of West Texas Crude and the Hay Makers, all to a 50’s rockabilly theme! Make sure you follow our flying program for any up-dates, we know you’ll be keen to know! All aircraft are subject to serviceability and various operational requirements. Whilst we will seek to ensure this page is up-dated aircraft and timings are subject to change without notice.